It’s been a great year for RED, and good years deserve to be celebrated so this weekend we saw the RED team take Chester by storm for our end of year soiree! 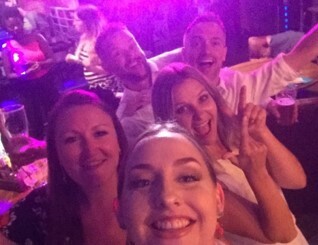 Our wonderful directors, Matt and Karen decided that to celebrate the end of our financial year, the RED team would go on a weekend away to Chester, and what a time we had! The start of our trip got off to a terrific bang, with two of the team receiving offers on the train down and one when we were checking in to the hotel! For me, this was an amazing start to the trip away as it was my first ever placement, and who better to celebrate this win with than my RED family!! The first day there we spent exploring the streets of Chester. We saw the lovely buildings the city had to offer, and what great character it had. Of course, it didn’t take long for festivities to get underway and we began on our bar crawl. In the grand scheme of things our “bar crawl” may be regarded as rather pitiful as we ended up loving the first bar, ‘The Botanist’ so much that we spent most of our evening there! At first, they won us over with their delicious cocktails and then later when their live music started they’d won us over completely. We all loved the vibe there and had a good time dancing the night away! To round off the end of our first night, we obviously had to pay a visit to the well-known club, that was a part of the hotel we were staying in - ‘Red Door’. We stopped in for a quick boogie, then decided it was time to head home (home being up the stairs) and have a good sleep in preparation for the big day ahead! 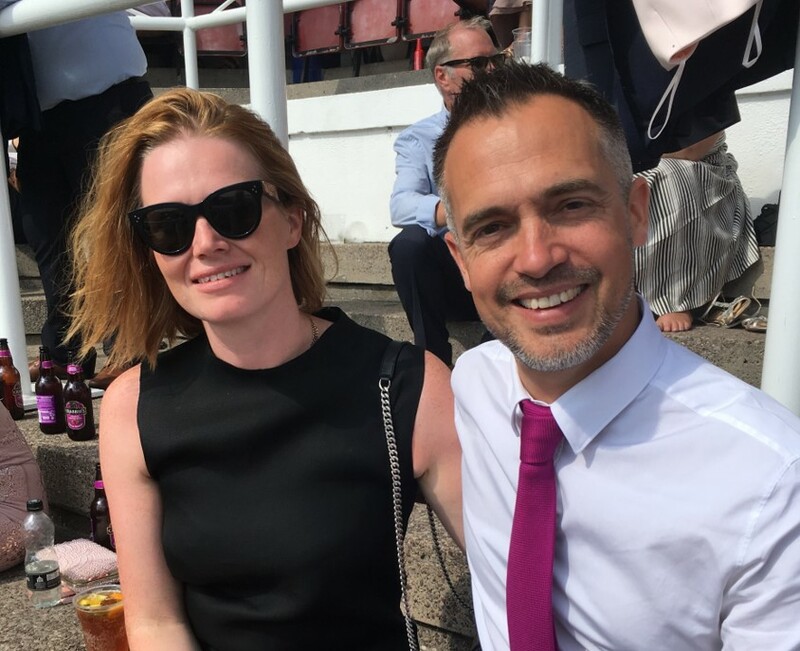 The second day saw us take on the main event - The Chester Races. The weather was 100% on our side as it was a scorcher of a day, going to as high as 28 degrees! We all had a great time getting right into all the races, with one of our team, Stacey having a win in every race, and team Becca & Karen winning over £90!! The sun was shining, the drinks were flowing, and the banter was on top form. After a successful day at the races of course we had to let the party continue, so we took to the bars of Chester for a second attempt. We began our night at ‘The Music Hall’, where we were introduced to the highly addictive game - Shuffle Board. After playing many, many rounds of our new found favorite game we were back to exploring what else the city had to offer, aka where too next! On our way to the next stop we stumbled across a pair of buskers performing classic dance tunes, with one playing a guitar and the other on a synthesizer. The one thing I think we all would take away from this weekend would be that, that by chance stumbling was one of the highlights of our time in Chester. The performers were great, and we essentially started a party in the street as at one point we were encouraging passersby to join in and dance! Then it was on to bar ‘Fiesta’, which throughout the weekend we’d been told was a great time for a night out and had been meaning to go to. We carried on our festivities there until the early hours of the morning, until we decided it was time for us to get our chips and cheese and hit the hay! Overall, we all had a hugely successful weekend celebrating and we would all highly rate Chester for night out/weekend away. The RED gang (Gordon, Stacey, Becca & Cara) could not be more thankful to Matt & Karen for their generosity in taking us there, and we all can’t wait to absolutely smash the year ahead!